I have learnt that I can trust TGND‘s recommendations about books completely. I am yet to be disappointed by any of the books she recommended. 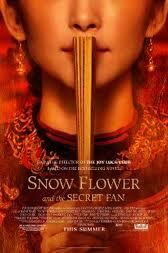 So when I read her review of Snow Flower and the Secret Fan, I just had to read it. It seemed just my type of book. As I started to read it, things seemed familiar. I remembered bits and pieces, until the realization dawned that I had read it earlier, but the wonderful read that it is, re-reading it was a pleasure. 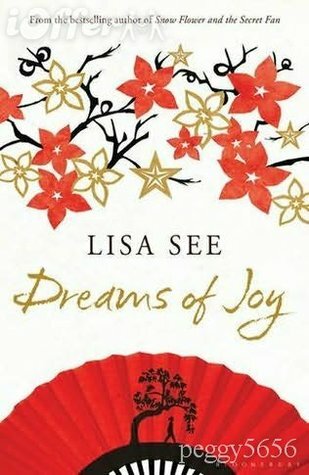 Set in nineteenth Century China, Lily recounts her story. Lily was a young girl growing up in a poor farmer’s household in rural China. Lily and her cousin Beautiful Moon turned six, and it was time for them to get their foot bound. Their families called the local diviner to find an auspicious date to start the foot bindings. The diviner, however, saw something different in Lily. He conferred with Matchmaker Wang, the matchmaker from the best village Tongkou, who agreed with him that Lilly had potential to make a very good match in Tongkou. Not only that she could also be eligible for a Laotong relationship. Laotong relationships are extremely special and not every girl gets to have a Laotong pair. It is a lifelong relationship with another girl, and it is extremely special because the girls are paired at the age of six or seven and are together for life. Most other girls have sworn sisterhood, that disolves upon marriage, and then they have to make new post marriage sworn sisters. For Lily to have a Laotong sister was extremely special as people in their village were usually not eligible. However, Lily’s feet had the potential to be perfect ‘golden lilies’ and that made her very special. Those days, all girls would have their foot bound, and based on how perfectly their foot turned out(how small, and how beautifully shaped), would determine the kind of match they would make. Lily’s feet showed great potential. At seven, Lily’s feet were bound and soon, she and Snow Flower got bound in a Laotong relationship. All through her short life, Lily had yearned to be loved. So far she had just been a ‘useless branch’ in her family. For girls were of no use – ‘A road made for others to use’. From Snow Flower, she got the love that she yearned for. The girls grew up together, sharing their lives, and noting down the important events of their life on their secret fan, in the special women’s secret writing – Nu Shu. Lily and Snow Flower’s friendship carried on strong, they face family tragedies together, get married, get busy with their everyday life, until something happened to put an abrupt end to the friendship that was supposed to be lifelong. 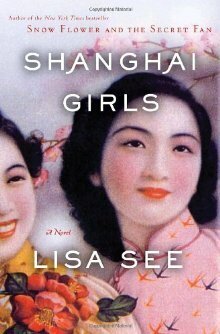 A touching, sad and brave tale of how women’s lives in nineteenth Century China was. Unwanted, useless, and born to serve others, put through torturous procedures like foot-binding, all to make a good marriage – because that was the most important part of a woman’s life – getting married. It is a window to an old culture where women had to stoically bear what was thrown their way. Rebelling was not an option. Living through droughts, political uprisings, domestic abuse and yet bringing beauty into their own and their loved ones lives. The description of the foot-binding process is heart-breaking to read. I can’t imagine how women went through it for so many years.